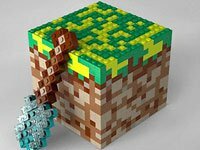 GrindCraft GrindCraft Craft different Minecraft blocks on this clicker crafter game! Mine Clone Mine Clone Enjoy a Minecraft clone made in Unity3D. Build and Destroy to make your own mining area. Mine Runner Mine Runner Minecraft meets templerun in this unique game. 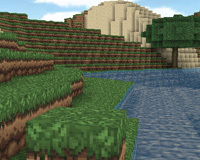 Miocraft Miocraft Mine resources and compare this free version of Minecraft to the original! Pixel Warfare v2 Pixel Warfare v2 Fire at Minecraft characters in Pixel Warfare 2! This shooting adventure pits you against other players around the world. Scuba Scuba Inspired by games such as Minecraft and Terraria, you must explore your world and collect materials to repair your ship. The Mega Parking Blocks The Mega Parking Blocks Ladies and gentlemen, start your engines and get ready for this challenge from the world of Minecraft car parking game.